So they set up an innovative program to do just that. Powered by LaGuardia Community College and the NYC Economic Development Corporation, this program provides New Yorkers from diverse backgrounds with the skills and experiences they need to secure good jobs in cyber. Take the 4-week prep course on campus at LaGuardia Community College, where you'll learn basic cybersecurity concepts. You’ll study alongside like-minded students, and receive instruction and mentorship from a passionate team of instructors. Then move on to take the 12-week bootcamp at Fullstack Cyber Academy (in lower Manhattan). You’ll be on 100% scholarship, and eligible to receive additional support services like childcare, professional development training and an MTA card while you're in the Cyber NYC Bridge program. 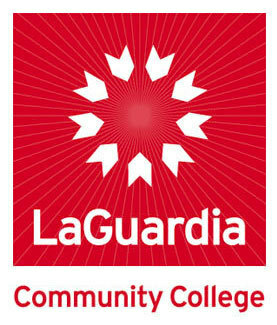 After you graduate, the team at LaGuardia Community College will continue to provide career support and career placement services. The goal is simple: to help you land your first job in cybersecurity. We’ll be accepting 25 motivated students into the first cohort of the Cyber NYC Bridge Program. Click the button below to get notified when the recruitment process begins!